Today was a perfect day to get me back in the swing of walking – not too hard, not too easy, ideal walking weather and the right sort of distance – just under 15 miles, plus nearly two to get to the start point. I took the train to Penzance yesterday lunchtime, and it was no more than averagely late, getting in just before six. The weather was poor. It began to spit just as I was popping into a pub for supper, and by the time I came out it was of plastic trouser proportions. Last year the walk up to the youth hostel from the town centre seemed endless, even though Chris carried my bag, but this year the nearly two miles were no problem, especially as the rain eased off, although it was dreadfully muggy. It’s a good youth hostel (Castle Horneck) and despite being in a dorm with four others I got a good night’s sleep – no snorers, and although it was fiendishly hot, as they always are, I managed to grab the bunk by the window. I was able to drop my bag off early at tonight’s B&B so was just walking with a day pack – so much better! The bus dropped me at Porth Leven where I finished day 68. 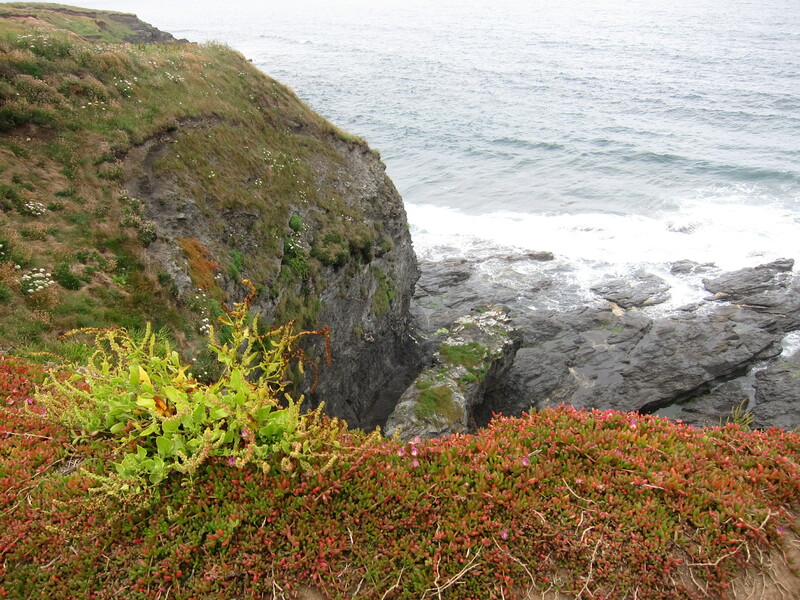 The path climbs up the headland, but none of it was too steep, and the weather, which started poor with a low sea fret, cleared around eleven, to give a mix of sun and cloud. Absolutely ideal. This is the start of the tin mining area and there are a number of old wheals dotting the landscapes. In our trip to Geevor mine last year, Chris and I found out all about the mines – absolutely fascinating. They were copper and tin, and many of the shafts can go more than a mile out under the sea. I cannot imagine how terrifying that must have been. If a mine collapsed inland you might have some hope of rescue, but not in these. 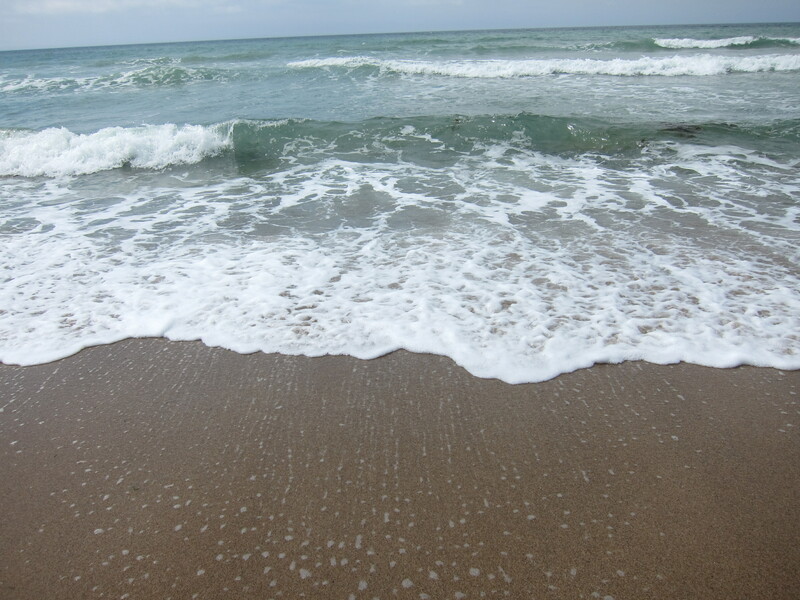 I reached the gorgeous Praa sands around 11.30 and had my first paddle. Icey! I stopped on beach cafe for coffee and a square of lemon drizzle cake that would have fed a family. Another couple of hours of gentle up and down on a good path brought me in sight of St Michael’s Mount. 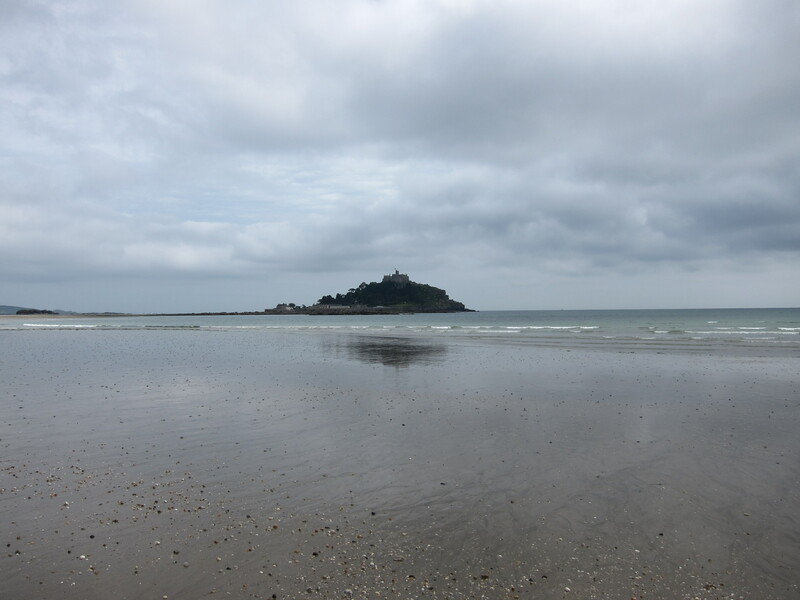 It can be seen for several miles before you actually reach the town of Marazion. It is a quite remarkable construction, inaccessible on its headland other than when the tide is low enough to reveal the causeway. I didn’t have time to look at the castle before I needed either to turn back or miss the tide, so I shall go tomorrow afternoon – it should only take a couple of hours for me to go from Penzance to the point in Mousehole where I started day 69. Originally a monastery, a priory of the Norman abbey of Mont St Michel, it was captured by the Earl of Oxford in 1473 and held for Lancaster against the prevailing Yorkist dynasty for nearly six months. After the dissolution, it was held by the Crown until it was granted to Sir Robert Cecil, later Marquess of Salisbury. It was sold to the Bassets, a prominent Cornish family, who supported the King during the Civil War. It eventually came into the hands of another old Cornish family, the St Aubyns, who are still in residence, although the place is managed by the National Trust. I walked a long way across the beach toward Penzance. I am not generally a fan of sand walking it is very hard on the legs, but this sand was firm. The last couple of miles into Penzance are on a cycle track parallel to the railway, so easy going. A very fine day indeed. 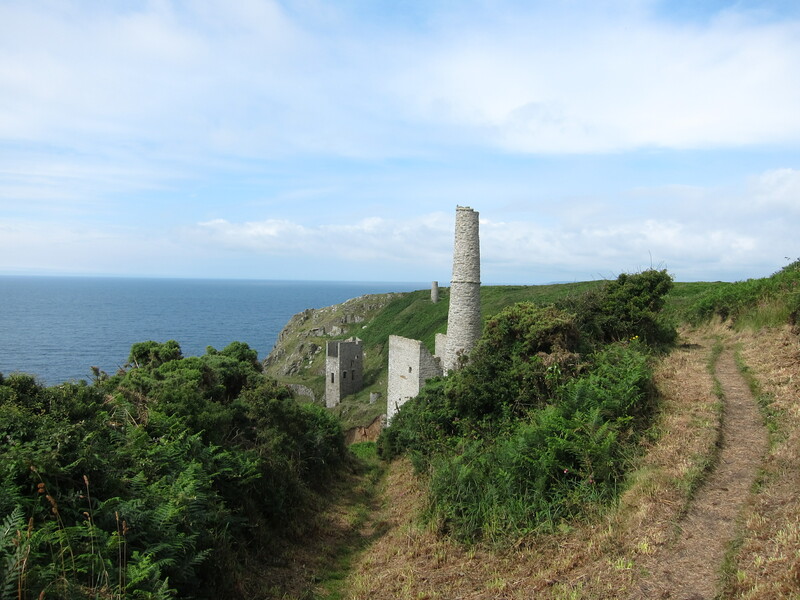 This entry was posted in Cornwall and tagged St Michael's Mount, Tin mine. Bookmark the permalink. ← I haven’t gone away!